Death flowey - gravity falls version,Gaming,gravity falls,flowey the flower,undertale,sans,omega / Sans :: Asriel (Asriel Dreemurr) :: Flowey (Flowey the flower) :: Omega Flowey :: Frisk :: Undertale персонажи :: Undertale :: фэндомы / картинки, гифки, прикольные комиксы, интересные статьи по теме. Undertale the Musical - Your Best Nightmare,Entertainment,undertale,the musical,undertale the musical,your best nightmare,flowey,flowey the flower,omega flowey,photoshop flowey,you idiot,finale,human souls,musical,music,song,sung,lyrics,with lyrics,chorus,Track 32/41 from Undertale the Musical! ﻿** Howdy? *	I’ n FLOWEY. 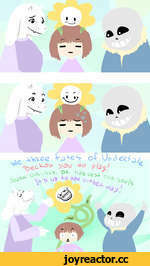 *	FLOWEY the FLOWER?